Henry Cavill humorously paid tribute to Jason Momoa and the success of Aquaman on social media. 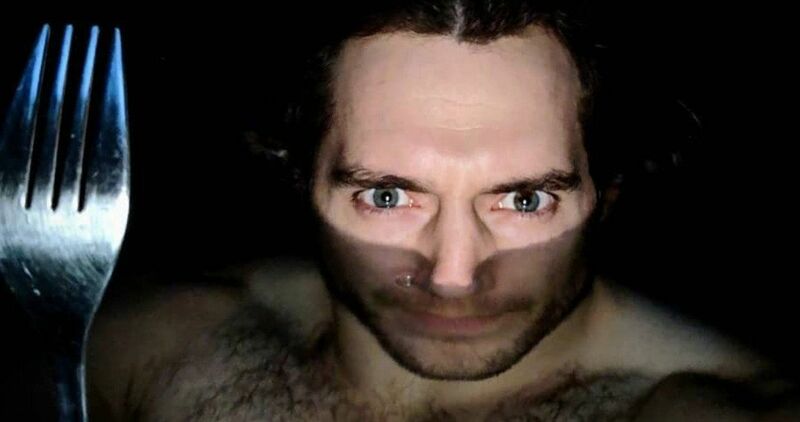 The Man of Steel star is currently in Hungary and admits that he just finally had the time to check out the James Wan-directed movie that has been tearing up the box office since its release. The movie has now passed Justice League and even Wonder Woman at the worldwide box office, having earned $846.3 million in less than a month. The Arthur Curry standalone movie now has its sights on taking down Batman v Superman, and is less than $30 million away from doing so. Now that Aquaman has been in theaters for a bit, Henry Cavill thought he’d post a tribute to Jason Momoa and James Wan on social media. The actor posted a picture of himself with half of his face underwater as he holds his makeshift trident, which is a fork. The photo on its own is funny enough, but it’s what the actor has to say in the caption that brings everything together. Cavill had this to say to Jason Momoa and James Wan about their success. While Aquaman is crushing worldwide box office records, it’s currently at number six out of all of the DCEU movies domestically. At this time, the movie sits at $222.8 million and has a ways to go if it plans on taking down Wonder Woman‘s $412.5 million domestic haul. However, there have been predictions that the movie will cross the $1 billion mark, and gaining more money stateside would certainly help out in that capacity. As for Henry Cavill’s future with the DCEU, that is currently a mystery along with Ben Affleck’s future. Cavill was allegedly supposed to have a cameo in Shazam!, but that didn’t end up happening, with sources saying that it was all over a contract dispute. Cavill and his team are reportedly holding out for more money to return for a possible Man of Steel 2. This has yet to be officially confirmed and the same can be said for Affleck’s future as Batman on the big screen. For now, Warner Bros. and DC Films are currently riding high on the success of Aquaman with some pretty big movies on the way, including Shazam! and Joaquin Phoenix’s Joker movie, which will both be hitting theaters this year. Wonder Woman 1984 was originally set to come out at the end of the year, but it has been pushed back to a summer 2020 blockbuster release date instead. While we wait to see how far Aquaman can swim at the box office, you can check out the hilarious tribute to the movie below, provided by Henry Cavill’s Instagram account.